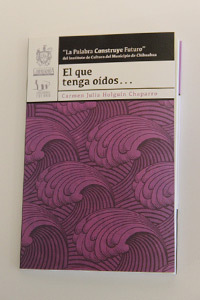 ...Y a pesar de las cicatrices es una obra lírica que retoma algunos poemas de mi primer y segundo libro de poesía, pero además comparte algunos textos inéditos. La portada del libro es una fotografía de Valerie Cazares, estudiante de mi clase de La dictadura en el arte 2015. Gracias a la editora Leticia Reyes por su confianza en mi poesía. 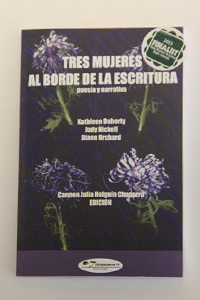 This book is a compilation of creative works (poems and short stories), of three women who, even though Spanish is not their first language, utilize it to share their deep understanding of their reality. 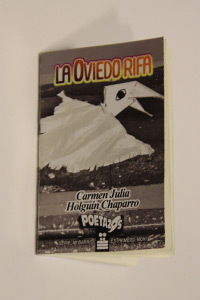 This book is a collection of poems that deals with friendship, love, family, gender violence, and narcotraffic war. This book is a collection of short stories that deals with some real characters who live in the barrio called La Oviedo, in Chihuahua City. These short stories are their stories of life and death. 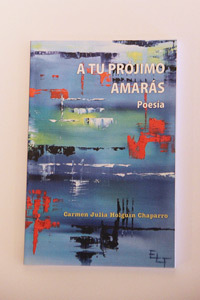 This book is a collection of poems that deals with friendship, love, family, war and gender violence.